Subtasks are useful to split the work of a task. The icon before the title is updated according to the status. Note: When the task is closed, all subtasks are changed to the status Done. Each time a subtask is in progress, the timer is also started. The timer can be started and stopped at any time. The timer records the time spent on the subtask automatically. You can also change manually the value of the time spent field when you edit a subtask. The time calculated is rounded to the nearest quarter. This information is recorded in a separate table. 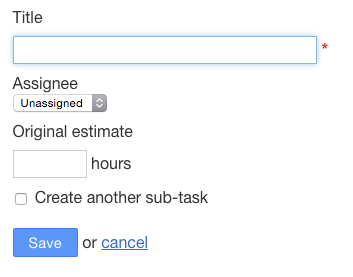 The task time spent and time estimated is updated automatically according to the sum of all subtasks.